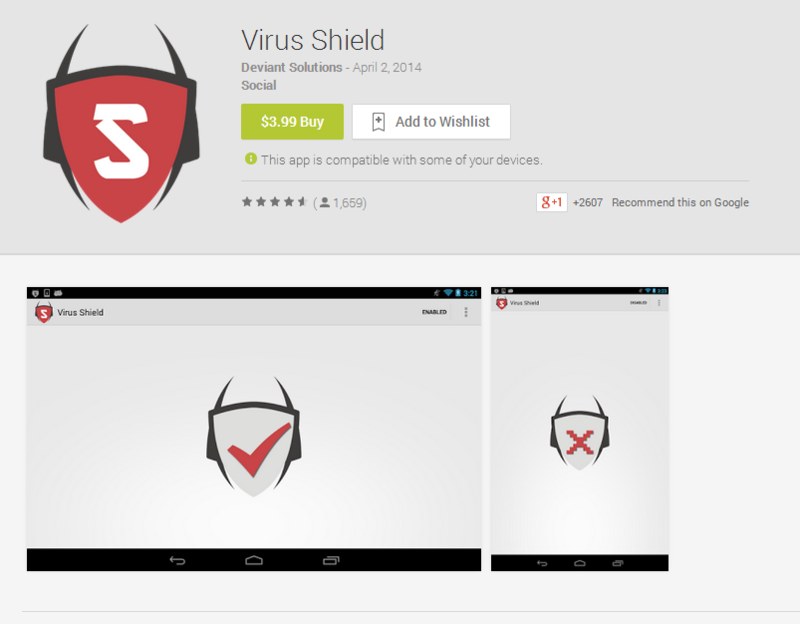 We're reaching out to you because you recently purchased the “Virus Shield” app on Google Play. Google Play's policies strictly prohibit false claims like these, and in light of this, we're refunding you for your "Virus Shield" purchase. You should see funds returned to your account within the next 14 days. Additionally we'd like to offer you $5 promotional credit1, which can be used to purchase digital content on Google Play such as apps, games, books, music and movies. I wrote the initial post with Artem Russakovskii's breakdown of Virus Shield, and downloaded it to get screenshots for the article. Despite the fact that I returned the app in time to get my $3.99 back, Google sent me a credit as well. While it's still somewhat distressing that Virus Shield was allowed to make it to the top of the Play Store's sales charts (again, probably via gamed purchases and reviews), it's certainly encouraging to see Google make amends in such a positive way. We'd like to see some more demonstrable evidence of Google's efforts to remove fraudulent apps from the Play Store, but the refunds and credit definitely show a willingness to improve their products. Note: the developer of Virus Shield has claimed that the app is legitimate, and that a version without the virus protection included was uploaded to the Play Store by mistake. He claims that he removed the app from the Play Store himself before his developer account was suspended. We seriously doubt these claims, especially in light of the developer's questionable history on other web services.